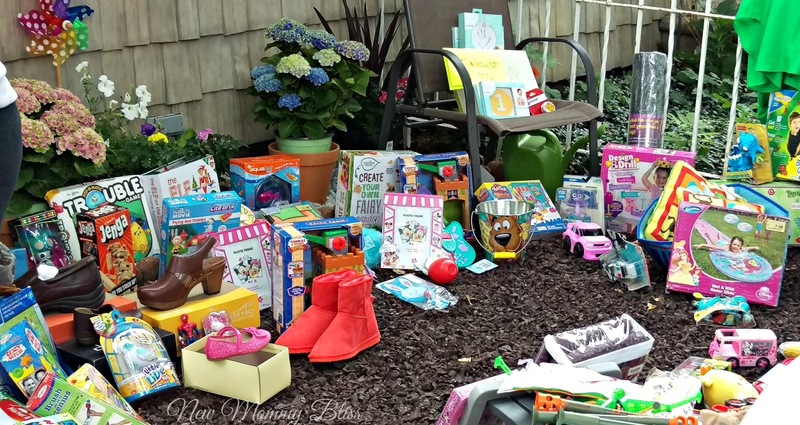 Top 10 Tips on How to Host a Successful Yard Sale! I made close to $600 at my first ever Yard sale.... Yes, almost $600! I hosted the 2-Day Yard sale at a friend's house since I kind of needed a yard and our apartment doesn't have one. Here are a Few Tips that I used to have a great Yard Sale, as well as some Tips I wish I'd done from the Start. Be sure to Set a Date that you are sure you'd be available for and make sure it's NOT a Holiday! Yes, we almost had a Yard Sale on Father's Day and it wouldn't have gone well (I believe.) Be Sure it is a day all parties of the Yard Sale (if hosting a joint one) are available. Also plan out a Time for your Sale. I made our 10am-2pm and by the time 2pm rolled around I wanted to extend it. The 2nd day I decided to host the sale from 10am-5pm and good thing I did or else I wouldn't have sold 2 strollers. Look at your stuff. Is it a Lot? Will 4 hours help you get maximum sale? Will you need 1 Day, 2 Days or more? Ask yourself these Questions and Go From There. p.s. Be sure to check every other day to make sure your signs were not removed. I had a very slow second day since our flyers got taken down every day from the main street. Be sure you post them on regular poles and not utility poles as the staples and paper may cause a hazard for electrical workers. You NEVER know what lucky Item you may be putting up for sale that you do not know the true value of. You may not be able to research every last item, but trust your instincts. Trust me when I say that Yard Sale Shoppers are smart and they've played the game too long. I know many people shop at yard sales to find the perfect deals, but if you know your stuff has Value or is Brand Spankin New then be sure to price it a few dollars higher than what you are willing to sell it for. For Example, I had a Baby K'tan Carrier that I had Literally only worn once in my home. A lady walked up wanting to buy it and it retails for $50. I told her $30, She said $15, then I said $25 . She started to think about it, but I had other customers waiting so I knocked off $5 and she was sold. $20 was my selling price to begin with so I was happy with the transaction! Don't be afraid to do this... It's all about Negotiation. 5) Be Prepared with Change! Not everyone brings exact change. Some people will hand you a $50 bill for a $5 item! 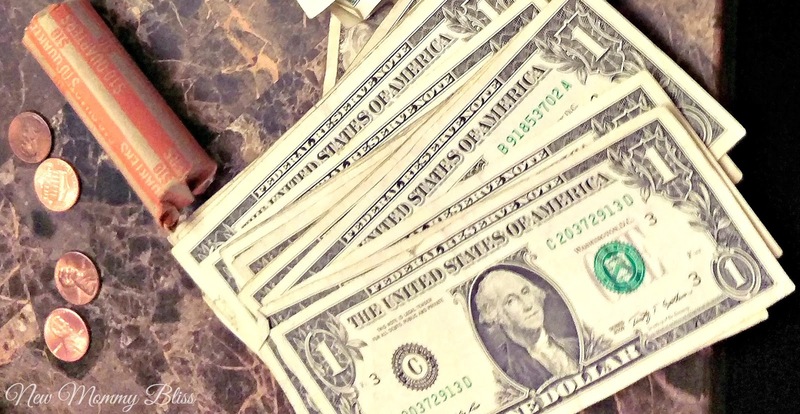 Make sure to stop by your local bank branch and get about $60-$80 in small bills. You probably don't need that much, but it's better to be safe than sorry. I live in Manhattan and my yard sale was in the Bronx. When I arrived, I was told that people were waiting outside and knocking since 8:30am..... The Yard Sale didn't start until 10am! As we were bringing stuff out of the house, the people were already shopping. It was Chaos, but in my first hour I made probably $75-$100. If you don't want people knocking at your door so early, write out "NO EARLY BIRDS" in big letters on your flyers. If you have a bunch of small items, consider gifting them with purchases. I had a lady stop by and purchase 2 of my strollers! She was my last sale of the day so I put together the box of $0.25 and $0.50 items I had into one and just gave it to her. It had toys, mini shampoos, conditioners, lip balms, crayons, books, a barking puppy and so much more. I sold a couple of diapers and offered a gentleman a free baby girl blanket to go with it. It never hurts to do this if you were selling it for cheap anyway. Since I was using someone else's home, it was obvious that they would be included in the Yard Sale. But what happens when you sell one of their items together with some of yours? Well you write it down, duh! I am extremely good with numbers meaning I did not use a calculator nor did I write anything down. I simply separated. Separated my profit from hers and gave it to her when the crowd was gone or had died down. That way I didn't have to try and remember Everything that sold at the End. I Donate to local places, church, friends and family many times throughout the year. Sometimes I have things that I would just rather sell so we decided to keep many of the leftovers for our next Yard Sale in a Month. If you are at the point where you don't want to deal with any of the stuff, just call a few places and set up a donation pick up or take it in yourself. Overall, I had a great time at my First Yard Sale and did extremely well with profit. 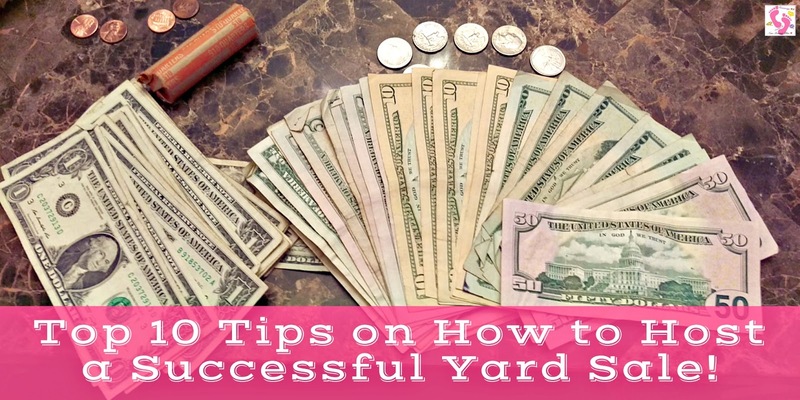 If you host a yard sale and use some of our tips, I'd love to know your results. If I missed any tips that you believe are super important not to mention, then please feel free to add them in the comments below! You did amazing! I hope I'm this good when it's my turn. We have a neighborhood garage sale and this year ours is around the end of August. I have a shed full of unused, unopened boxes of stuff. I'm hoping to get rid of most of them. Wish me luck, I'll be using a few of your tips for sure! Good Luck, I wish you the best! We are actually planning on doing a second one in August and hope I can make a lot more this time around. It helped greatly with bills for the month. Wow! You had some great loot :} Great tips...can't stand the early birds. Hope your next one is just as successful! Great tips! Love running yard sales. Shirley, you got me wanting to find stuff in my closet to start a yard sale! Great post. This info couldn't have come at a better time. 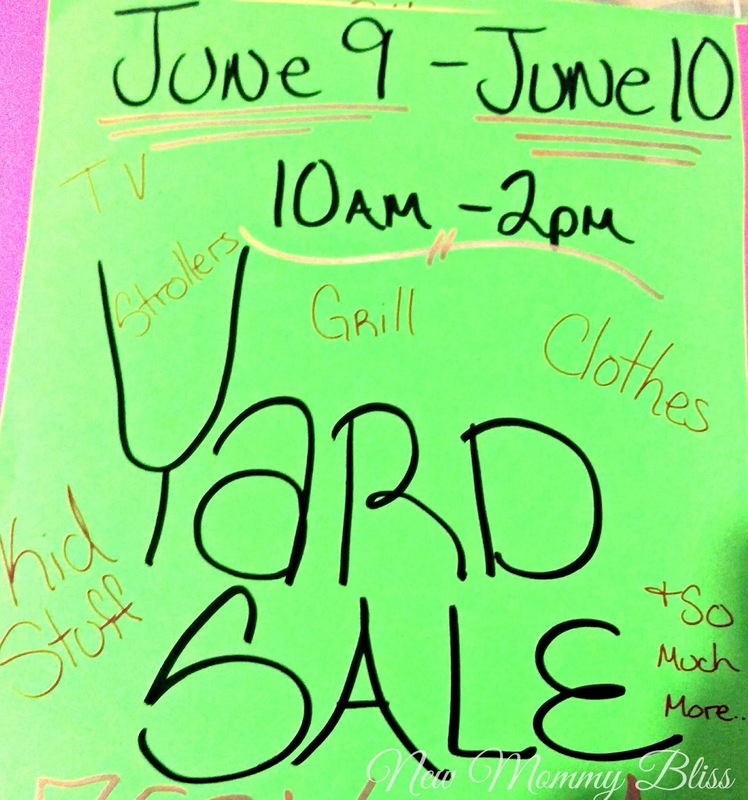 I want to have a yard sale sometime this summer and this info is so helpful! Awesome tips!! We had a yard sale recently but I didn't do as well as you did. I think one of the major issues for us was the signs. It was a neighborhood sale so someone else made the signs for the whole block. They were so small I don't think anyone saw them! So you're totally right about the neon bold signs!!! I've been wanting to have a yard sale for years... haven't gotten around to it yet, though. Good job on makin' that money!! Great tips! You did so awesome at your yard sale! It ended up raining during the one I tried to do at my parent's house last year. Next time, I'll be using your tips ! Those are great tips. One of the things I almost always forget it having lots of change on hand. It seems like that's always a last minute scramble. I never considered grouping like items together. Smart idea! We need to have a yard sale in a big way!! Great tips that I wouldn't have thought of...thanks.